By one estimate, there are now more than 20,000 applications available for download from Apple’s App Store. Imagine how much larger that number would be if every app didn’t have to win Apple’s approval before appearing on the store. Still that’s the process Apple’s had in place ever since the company first disclosed plans for the App Store nearly a year ago. And it’s helped create an online store that Apple chief operating officer Tim Cook called “absolutely the envy of the industry” during this week’s Apple shareholders meeting. Nevertheless, it’s safe to say that the process Apple uses to decide which apps are acceptable and which aren’t is less than transparent—a fact that remains a sore spot for some iPhone developers. Apple didn’t respond to a request to explain its process for this article. However, given some of the high-profile App Store rejections in the seven-plus months since the store opened its virtual doors, a picture is beginning to emerge—albeit only part of one—on what kinds of iPhone apps run afoul of Apple’s guidelines. Recently, South Park Studios announced that its iPhone app had been rejected. The creators of the TV series of the same name had announced an iPhone app last fall. “After a couple of attempts to get the application approved, we are sad to say that our app has been rejected. According to Apple, the content was ‘potentially offensive,’” reads the post on the South Park Studios Web site. That potentially offensive content comes from the admittedly off-color South Park—which users can buy in another section of the iTunes Store for $2 an episode. 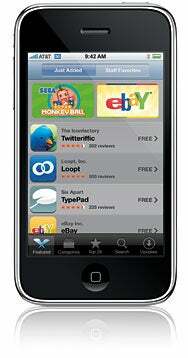 Apple also rejected developer Adrian Ross’s remote access app, FarFinder, for displaying trademarked Apple icons. In his blog, Ross posted Apple’s rejection reason: “Using your application, when the user logs in to the machine, the default OS X directory and file icons are displayed.” But Ross argues that several iPhone VNC apps also show Apple’s icons, although those apps display what’s on a computer’s actual screen, while FarFinder has its own interface. One company, 10base-t interactive, even created an Unofficial App Store Rejection Criteria Web page based on developer experience. Originally featuring 10 reasons for rejection—the tally is down to nine now that the surplus of gas-passing simulators has rendered the “No Flatulence” rule moot—the list covers everything from having an app that continuously vibrates to problems with tableviews. But at least one developer thinks Apple’s tight grip is a good thing. Glenn Howes, creator of the Lullabies app, wrote on his blog that Apple rejected his first attempt for violating Apple’s interface guidelines. (In his original app, there was no way to return to the main menu until a chosen animation had played through). Howes added a button, and also used the opportunity to make a few other tweaks as well. If you want an app for your iPhone, the only place to get it is through the App Store (unless you jailbreak your iPhone, of course). In Apple’s collective mind, controlling what’s available to iPhone users is both a means of assuring a high-quality experience for its users and a way to rake in 30 percent of every sale. But Apple now faces competition from other smart phones with the launch of the Google Android Market, as well as Microsoft’s upcoming Windows Marketplace for Mobile. Will Google and Microsoft help put Apple’s feet to the fire and cause Apple to change its policies (or at least make the app process more overt)? Or is the strength of the iPhone enough to insulate it from the competition? These other avenues offer developers more options when creating mobile apps, and it would be a shame if Apple’s difficult and seemingly arbitrary ways drove talented developers away from the iPhone. (The image of a tunic-clad, flute-playing Steve Ballmer leading developers to Redmond comes to mind). But at least for now, there’s good money to be made on the iPhone, and it still exudes that must-have vibe that Apple is known for.